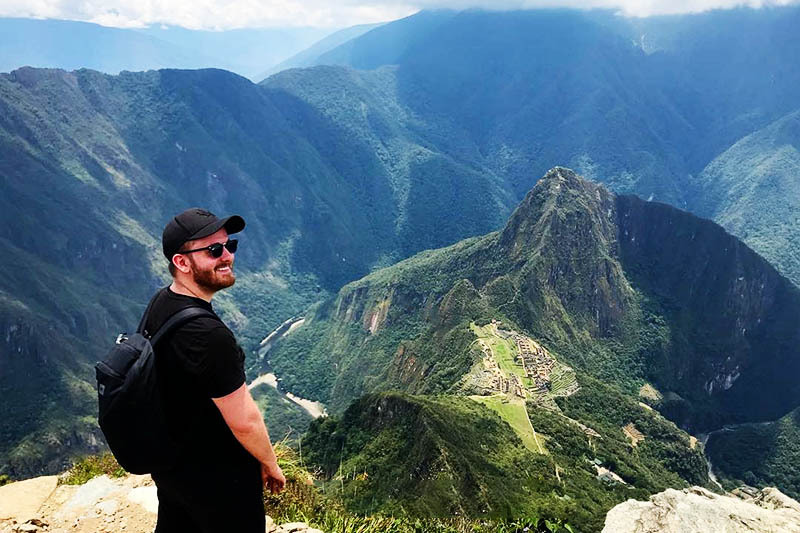 The dream trip to Machu Picchu is full of incredible experiences. It is a close contact with history surrounded by a dream landscape. But the Wonder of the World is more than the Inca Citadel and its mysterious stone buildings. It is also the little-known trek to Machu Picchu Mountain. Haven’t you heard of this attraction? It is a different place to the Inca Citadel. As its name says, the Machu Picchu Mountain is a mountain located on the highest point of the Urubamba Canyon at 3 082 meters above sea level. In its skirts the Inca Citadel of Machu Picchu is located. Yes, most of the stone buildings that Hiram Bingham discovered in 1911. From the summit of this summit one can glimpse all the landscape splendor of the place: the City of Machu Picchu, the Huayna Picchu mountain, the town of Aguas Calientes, the Vilcabamba mountain range, the Salkantay mountain, the Vilcanota river, the Putucusi mountain and all the greenery that surrounds the scene. Machu Picchu refers to the Inca Citadel. This is the archaeological complex where tourists usually make the journey accompanied by a guide. It is located at 2430 m.a.s.l. Here you will find the most popular attractions, such as: the Intihuatana, the Temple of the 3 Windows, the Temple of the Condor, the Temple of the Sun, etc. The Mountain Machu Picchu or ‘Old Mountain’ is the summit on which the Inca Citadel is located and which gave it its name. It is located almost 600 meters above Machu Picchu. This summit should have been considered a deity by the Incas. His roads have recently been open to the public. To travel them you must book the Ticket Machu Picchu + Mountain. Huayna Picchu or ‘Montaña Joven’ is the mountain that is located to the north and above Machu Picchu in the classic postal picture of the Inca Citadel. It is located at 2693 m.a.s.l. Almost 300 meters above the Inca llaqta. The steep and vertiginous nature of its roads makes it one of the main attractions for visitors. The steps date back to the time of the Incas, in the middle of which is located the Temple of the Moon, an Inca sanctuary that still keeps mysteries. This mountain was also a place of religious worship in the time of the Incas. How is the tour of Machu Picchu Mountain? The roads through Machu Picchu Mountain were open to the public recently and after 500 years of history. Today, it is wide and with well marked signs. It also has places to rest. The journey is not as steep compared to that of Huayna Picchu. But it’s longer. It is estimated to have 1,600 steps, as well as dirt and stone trails. As you ascend you can see all the landscape splendor of the place. It is estimated that the ascent can take from 1 to 2 hours depending on the physical condition of the visitor. The tour of the Machu Picchu Mountain is ideal for families. The Ticket Machu Picchu + Mountain? 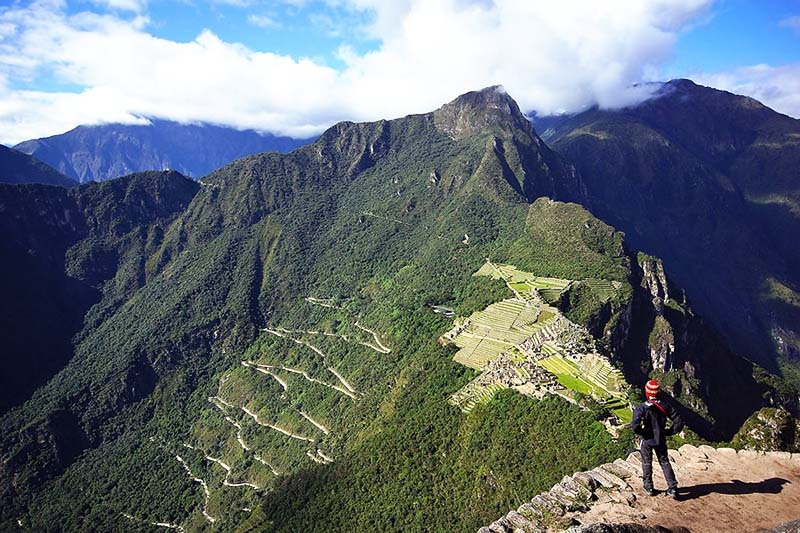 To travel the paths of the Machu Picchu Mountain you must acquire the Ticket Machu Picchu + Mountain. This includes a visit to the Inca Citadel. There are two schedules or shifts that allow enough time to travel both attractions. Mountain Machu Picchu Group 1 – Hours 07:00 a.m. – 08:00 a.m. The first group makes its entrance to Machu Picchu Mountain between seven and eight in the morning. With this ticket you can also enter the Inca Citadel from six in the morning and allows to stay there until two in the afternoon. The entrance to the mountain is located within Machu Picchu. Mountain Machu Picchu Group 2 – Hours 09:00 a.m. – 10:00 a.m. The second group makes its entrance to the Machu Picchu Mountain between nine and ten in the morning. With this ticket you can also enter the Inca Citadel from six o’clock in the morning and stay there until three o’clock in the afternoon. The entrance to the mountain is inside the Inca enclosure. Climbing the Machu Picchu Mountain is considered to be of moderate difficulty. Admission to the public is allowed regardless of age. Parents should watch their children closely. 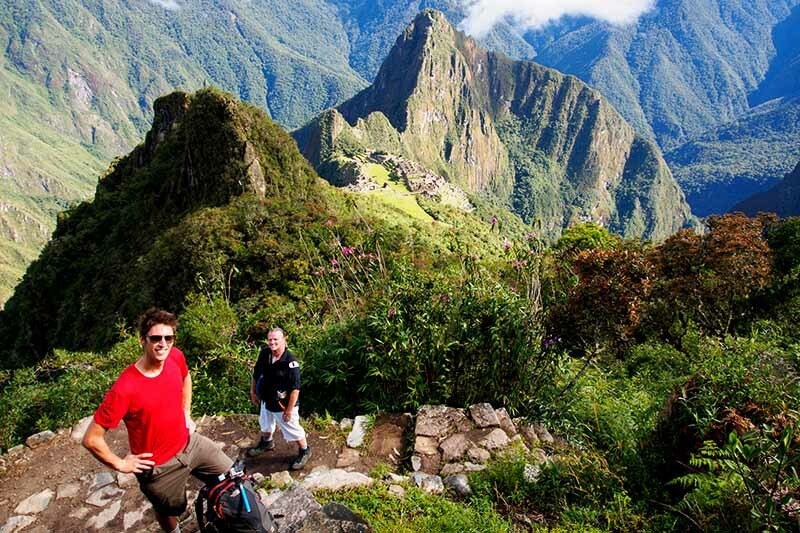 It is advisable to book the tickets Machu Picchu + Montaña in advance. Especially in high tourist season (April to October) due to the high influx of visitors. Do not cross the safety lines or look for roads on your own. The dry season (from April to October) is advisable to make the trip to Machu Picchu Mountain. However, in the rainy season (from October to March) the landscape becomes greener and ideal for photographs. ← Travel with children – What ticket Machu Picchu should I buy?